To say “I have enough” is a real blessing, but perhaps it’s an ordinary thing. But to have “God’s more-than-enough” is extra-ordinary! This verse claims that God gives me everything I need and then much more besides. The Bible tells me I’m “more than a conqueror” and that God gives me “far more than I can ask or imagine.” These are statements about the abundance of God’s giving. And the cross is how God gives. This is the way that “God’s more- than- enough” is given to me. Jesus paid it all and announced the account settled: “It is finished.” He did everything necessary to deal with sin and sorrow and sickness in my life. He rose from the dead, is seated in heaven and raises me up to sit with him. He gives me more than anything I might think I deserve. In this context, God’s more-than-enough makes shopping sprees sound like the tiniest of tiny passing treats. How long will you love delusions and seek false gods? So here’s the thing: how can I live in the experience of that confidence when so many things seem to go pear-shaped? What’s the secret of that “more joy in one ordinary day”? The first clue is in v3: “Know that the Lord has set apart his faithful servant for himself.” This isn’t a matter of pride, but of humble awareness. Anyone who has come to Christ has experienced that feeling of chosen-ness. You have been set apart. The writer speaks to those of his companions who have been influenced by people caught in fantasy and idolatry. But it’s different for you. It is not because we are particularly special, outstandingly gifted men or women. No, it is because …., well, because God has set us apart! He did this because He loved us, but why He should love someone like me is frankly, beyond me. And that sense of choice is an inspiring encouragement when the day grows dark. It enables me to sing that lovely line: “Let me be singing when the evening comes.” And since He chose to love me, He cannot but choose to hear me. So, “The Lord will hear when I call to him” (v3). This is the second clue. I can take this for granted. Someone asked the question: “Who could wake up a king at 3am for a glass of water? The answer is: only his son. And that’s precisely who we are, in Christ. And that’s the third clue to the writer’s confidence: the outward acknowledgement of what’s going on inside. So often when we are in trouble we moan, “You can’t expect me to bear witness to my faith when I’m feeling like this!” But the Psalmist has enough confidence to round on his accusers and take them on! It’s not a sniping counter-attack but an analysis of their situation. First, make sure you don’t sin, whatever you do. Second, make sure you are searching your hearts. Are there no times when you are serious about your lives? Third, make sure you have a sacrifice to cover your sins. So “Trust in the Lord” who loved us and died for us. Trust in the Lord who was raised from the dead for us. Put all your trust for entering heaven on the Lamb of God, Jesus Christ. The cross is the only way home. And “home” means rest, despite any appearance to the contrary. And the Psalmist looked around and saw the light of the Lord’s face shining on his life. He woke up singing “The Lord’s mercies are new every morning.” He knew he was a blessed man. And he looked within himself and acknowledged God’s loving provision: “You have filled my heart with greater joy than when their grain and new wine abound.” (v7). And he looked to his Lord too, at the end of the day, in untroubled confidence that God had it in hand: “I will lie down and sleep in peace, for you alone, O LORD, make me dwell in safety” (v8). Easter Saturday is the day that stands between that death on the cross and the empty tomb of the risen Christ. It is all too easy for us to skip over the meaning of this day. Perhaps it is because we don’t want to accept the reality of death, much less this particular awful death. We can celebrate Good Friday for what “Christ did for us” on the cross, but even while we do this we tend to ignore the utter Godlessness of the suffering of Jesus. In his remarkable Between Cross and Resurrection: A Theology of Holy Saturday Alan Lewis notes that the second day, Holy Saturday, “appears to be a no-man’s-land, an anonymous, counterfeit moment in the gospel story, which can boast no identity for itself, claim no meaning, and reflect only what light it can borrow from its predecessor and its sequel”. However, Lewis suggests that this Saturday could be a “significant zero, a pregnant emptiness, a silent nothing which says everything”. But this day. This day stands for the hopelessness of a world without resurrection. It’s where most of the world lives. Even within the community of Jesus, some concentrate on the Good Friday aspect of life… And to be sure, there’s a hell of a lot of suffering. In this world, as Jesus said, you DO have trouble. Some, perhaps, would tear Good Friday from the Bible and just see Easter Sunday…. We could espouse a hyper-optimism that simply refuses the fact of suffering, pain. But today, at least, we live between two worlds… between suffering and glory, between death and life. I guess that Easter Saturday reminds us that it is both/and rather than either/or. “A certain man from Cyrene, Simon, the father of Alexander and Rufus,was passing by on his way in from the country, and they forced him to carry the cross. 22 They brought Jesus to the place called Golgotha (which means “the place of the skull”). 23 Then they offered him wine mixed with myrrh, but he did not take it. 24 And they crucified him. Dividing up his clothes, they cast lots to see what each would get. Having spent some years teaching English Literature, I’ve come to find the comparison between Mark’s style and that of Ernest Hemingway quite illuminating. Both use simple and natural language, and this has the effect of directness, clarity and freshness. Both choose common, concrete, specific words and seldom use adjectives and abstract nouns. Both avoid complicated syntax and opt for short sentences with very specific details. But it’s a mistake to think -with either writer- that simplicity infers a lack of subtlety. It means rather the opposite. The narrative of the crucifixion is a case in point. Since there are so few details, those mentioned are heightened in intensity. There’s no “setting the scene” or extraneous additions at all. It is as bleak and stark as the story it tells. Mark gives us a solemn litany of verbs. 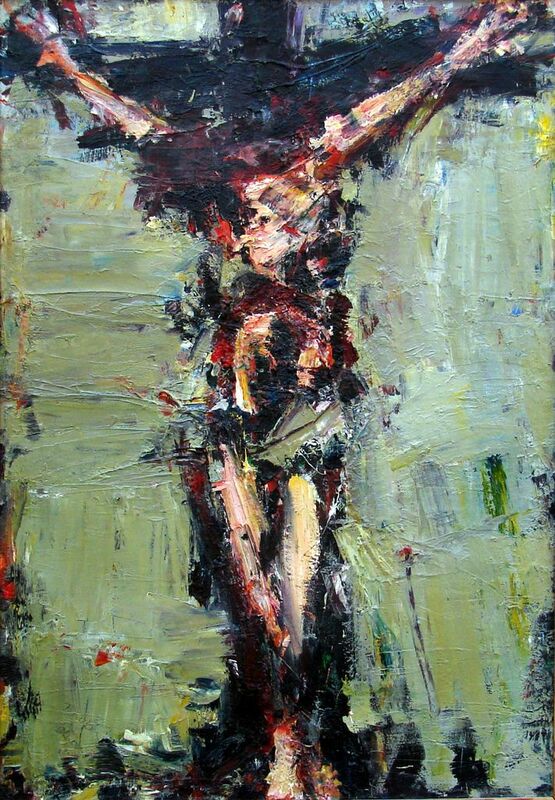 “They forced …they brought… they offered …they crucified him… they cast lots …they crucified him… they crucified…” It’s like the pounding of the hammer that drove the nails, eloquent in its simplicity. It’s like the percussion section of an orchestra of humiliation. Jesus is flogged and ridiculed by the soldiers (Mark 15:15, 17—20). He is beaten so badly that Simon of Cyrene has to be press-ganged to help carry the cross beam (v21). The condemned man’s clothes become prizes in a dice-game and, in a sneer of childish abuse, a placard proclaiming the dying Jesus as the King of the Jews is nailed to the cross. Even those crucified alongside Jesus join in the cat-calling (v32). This note of rejection is also sounded on both occasions when Jesus is offered something to drink. Craig Evans sees the soldiers’ offer of wine mixed with myrrh as another act of mockery (v23), an interpretation supported by Luke’s account (Luke 23:36–37). Hence, Jesus’ refusal to drink is not so much that he wants to keep a clear head for the testing time ahead, but that “he refuses to participate in the mockery.” Hurtado similarly suggests that the intention of those who offered Jesus sour wine (v36) “was to keep him alive for a while longer, but simply for cruel sport.” Far from letting him die in peace, Jesus’ opponents appear to take every opportunity to add insult to injury. But behind the stark words, something else is happening. Simon of Cyrene’s sons are named – which suggests that both were known in the early church. Indeed, -though nothing is proven- both names crop up in the credit-lists of Paul’s letters. It’s a tiny reminder of the “I was there” quality of Mark’s immediacy. And if these were known to the early church, then the presence of their father on the scene has already become a point of honour and triumph rather than defeat and degradation. So here we have the first proto-disciple literally following Jesus’s command to carry his cross. And second, we are forced to notice the sign. Even if the words “King of the Jews” are intended as a (rather feeble and unpleasant) joke, are they not also true? Even if the purple robe and crown of thorns are meant to ridicule, do they not also reinforce? John’s dialogue is much more explicit: “My kingdom is not of this world.” Mark leaves us to infer and ponder the ambiguity. This is the kingdom come in power, and here is the king, but it is a kingdom expressed in weakness and a king racked in pain. We hear the sneer, of course, but a deeper theology is on offer. That is that the only way that it is possible for others to be saved is that Jesus does not save himself. That’s the paradox. And if he does “come down now from the cross” then he has nothing to offer that is worth seeing, or believing. Paul’s gratitude has spilled over into song. The Colossian hymn (Col 1:15–20), as we call it, is all about Jesus. It celebrates His reign, first as Creator and Sustainer of the cosmos and second as the head of the church and the One who reconciles every broken thing to God by what He accomplished on the cross. In this hymn, the story of redemption is a witness to God’s love. Paul wants the Colossians to understand who they are; but to do that, they must first know to whom they belong. For only in Jesus can we see the God who cannot be seen. Only in Jesus can we understand God’s purpose in creation. And only in Jesus does the Church exist. My mum used to compare me to the boy who lived next door. He was perfect and I wasn’t. It could be that she exaggerated. Maybe there are some who are perfect but for us the only goodness available is that of those who having failed, have apologised and put it straight. Those perfect people are completely ignorant of what sin does –and maybe live in a Nirvana bliss, untouched. 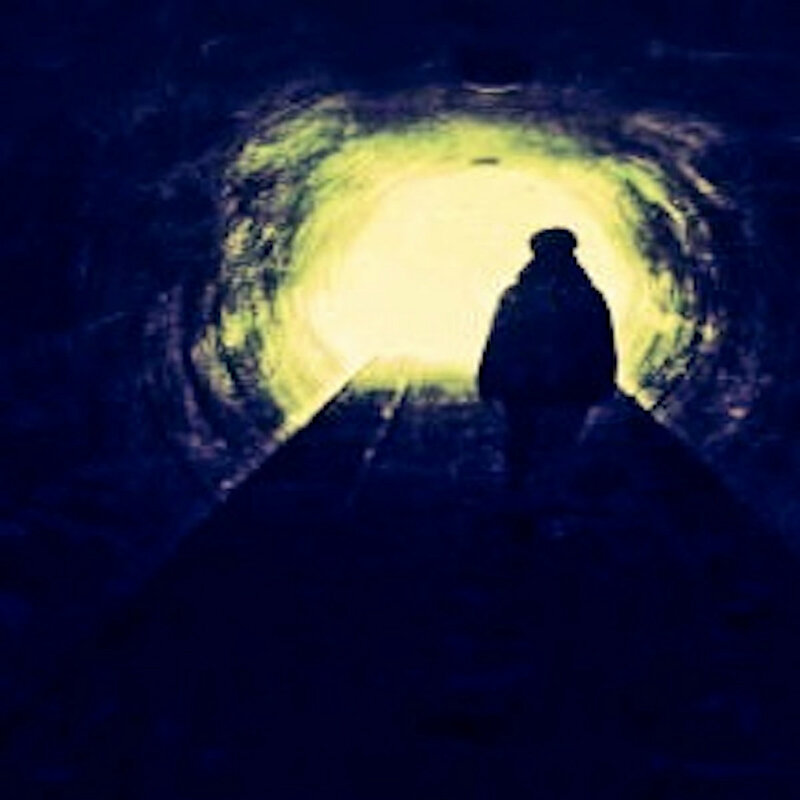 But most of us –all of us- know how awful sin is and how it pulls you into the darkness. It’s such an amazing joy to experience grace. Jesus told the story of two sons, a bad one and a good one. He compared the son who strayed to the son who stayed, but then he said, “There is more joy among the angels of heaven over one sinner that repents, than over ninety and nine just persons that need no repentance.” Or maybe who think they don’t. This tells me one vital truth: It is wonderful it is to be clear of sin. Paul describes it in two halves: estrangement and reconciliation. How do you get estranged? How do you lose touch with a friend? Imagine losing your passport… and suddenly being treated as an outsider. Imagine being a refugee with no claim to the rights of a citizen. Becoming an alien. Alienated. The Jews were so proud of their covenantal rights. Remember Jesus, “It is not right to take the children’s bread and give it to the dogs.” Paul’s word suggests the loss of those rights. It’s a metaphor of losing your place with God. The Romans too, had their fine claims of the importance of citizenship. Remember Paul “They have beaten us openly, uncondemned, being Romans.” The lash was what aliens got, not Romans. Ephesians 2 12 speaks this way “That at that time you were without Christ, being aliens from the commonwealth of Israel, and strangers from the covenants of promise, having no hope, and without God in the world.” This is alienation, exclusion-to have no place in this world, no passport…, to feel God as your enemy, to be estranged from Him, and banished from His presence. But how? Through Jesus “Christ has made of two one new entity, so making peace.” Christ has reconciled man to God, man to man, and man to himself. He has reconciled person to person. -“For He is our peace who has made both one.” and hs broken down the middle wall of partition.” A wall divided Jew from Gentile in Jerusalem. It’s gone. What separates us? Sin, selfishness. Christ makes a display of it on the cross. We are told in this passage we can be reconciled to man by the body of Christ through death. And now understand this. By the cross of Christ the apostle meant, reconciled by the spirit of the cross. And what was that spirit? It was the spirit of giving, and of suffering, and of loving, because He had suffered. To God, to your fellows…and also to yourself. Do you forgive yourself? Maybe it’s the hardest thing. The atonement is the central doctrine of Christianity. Take it away and there’s nothing left. Otherwise its just trying hard to follow an example. No, something incredible happened in the cross of Christ. The cross showed us what sin looks like, how it destroys what is most beautiful. But it also show us the best of what man is capable of: of laying down his life for his friend. The Cross reconciles opposites. It provides a level playing field. We are all there. Choose your position. It breaks down the dividing walls between us . It brings you home to God. These days, many would criticize the standard Palm Sunday sermon, saying that it was certainly not the same people who shouted, “Hosanna to the Son of David” one day, who shouted “Crucify him!” a few days later. Well, my conviction is that even if these critics are correct, the Bible still entitles us to draw the comparison. It’s a comparison drawn between seeing Jesus as a celebrity and seeing him as a profanity. The comparison in Paul’s letter to the Christians at Corinth is somewhat similar. It’s understood as either the power of God or the foolishness of men, depending on your point of view. Those participles are fascinating – do you classify yourself as “perishing” or as “being saved”? The paradox is drawn between the two perspectives -between the Hosanna and the Crucify. Despite Mark’s brevity, he uses that word “crowd” (and “great crowd“) several times and speaks of Jesus being swamped or crushed: “He told his disciples to have a boat ready for him because of the crowd, lest they crush him.” And listen to this, “All who had diseases pressed around him to touch him.” The great Miracle-Man was at hand. It sounds dreadful, doesn’t it? In Mark 1, the author records that “Jesus could no longer openly enter a town, but was out in desolate places, and people were coming to him from every quarter.” No wonder that Jesus often sought solitude. No wonder that He told people whom He had healed to “Tell no one.” And no wonder that He was somewhat reticent about the title “Messiah.” For Elvis Presley, the problem was that he couldn’t live up to his public image. For Jesus the problem was exactly reversed: Jesus was more -much more- than His celebrity suggested! But “Tell no one!”? Why? Didn’t Jesus want people to know who He was? He WAS Messiah, the anointed one, the king, the Son of David, the Son of God. But, as I say, Jesus was more. And celebrity confused the issue. God’s idea of Messiahs was radically different from that of the crowd. Grace and truth, sacrifice and love were the marks of the authentic Messiah. But they expected a powerful ruler who would overthrow the Romans and make Israel top dog. And so we come to the dichotomy between Palm Sunday (“He who comes in the name of the Lord”) and the “Crucify him” of Good Friday Ultimately, Jesus wasn’t what the Messiah watchers were looking for. He had the popularity. He had the people’s imagination and loyalty. He had the charisma. He had the devotion and support of God, as witnessed by his miracles. But his idea of messiah was a disappointment. He hadn’t come to beat the Romans. His ideas were much bigger. He was more than they were yet capable of comprehending. He was “Immanuel, God With Us”, come to his people as one of them, come to humanity as one of us all, come to deliver us all from the greatest oppression of all, come to restore us all to the heart of God. It’s the very opposite of celebrity. But by human standards that’s exactly what the cross represents – not celebrity but profanity. Paul acknowledges that in Galatians 3: “Christ has redeemed us from the curse of the law, having become a curse for us (for it is written, ‘Cursed is everyone who hangs on a tree’) that the blessing of Abraham might come upon the Gentiles in Christ Jesus, that we might receive the promise of the Spirit through faith.” — (Galatians 3:13-14) The cross is the ultimate swear-word. It was reserved for the worst kind of criminals. And Jesus became a profanity. Jesus took all the curses that I deserved because of the choices made by my ancestors and me. He offers to me a great exchange. If I give Him the curses I earn because of violating His spiritual laws, then He will give us the blessing of Abraham that He merited through His sinless life of never breaking a spiritual law. We receive this gift by grace through faith. This is a tremendous aspect of the good news of our salvation! This is the real nature of celebrity – the favour not of man but of God; the purposes of God, not of man. So as we think our way to the cross this week, think on this. Here’s the choice: we find ourselves among “the perishing. or we enter into the paradox of Christ’s profanity, into a “foolishness” not disabled by man’s wisdom. Lord, enable me to discover your Cross purposes this Easter. “Come, my children, listen to me; I will teach you the fear of the Lord. the measure in which we enjoy true life. Practically speaking, where does the fear of the Lord begin? It is very clear. 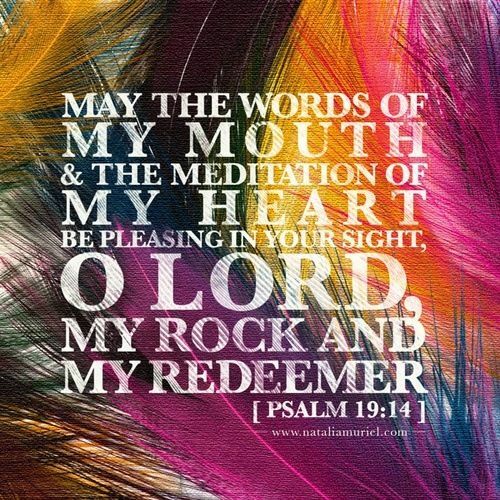 The psalmist said, “Keep your tongue from evil and your lips from speaking lies.” In other words, the first area of our lives in which the fear of the Lord will be practically manifested is our tongues and our lips. If we can keep our tongues from evil and our lips from speaking lies, then we can move on into the fullness of the fear of the Lord. Out of the fear of the Lord comes “life” and “many good days.” The fear of the Lord, life, good days, and the proper use and control of our tongues and our lips are all bound together. We cannot really have good lives if we do not control our tongues and our lips. Your soul is your whole personality. It is the real you. This is the area where weakness will be manifested first and where the Enemy will gain access first. If you want to guard your soul, you must guard your lips. But if you speak rashly, you will come to ruin. The alternatives are very clear. If you control the tongue, then you have protection, but if your tongue gets out of control and you are not master of your words, then the end is ruin. It is so clear; there are no blurred edges. The whole book of Proverbs is full of these principles. Consider Proverbs 21:23: “He who guards his mouth and his tongue keeps himself from calamity.” Again, the vital area that you must protect is your mouth and your tongue.A smart person knows how to talk. A wise person knows when to be silent. Where the King James Version says, “a wholesome tongue,” the literal Hebrew says, “the healing of the tongue.” This clearly indicates that our tongue can need healing. I believe the tongue of every sinner needs healing. The tongue is one area where sin is always manifested in every life. There are some areas in which a sinner may not offend. But the tongue is one area in which every sinner offends, and it must be healed. “The healing of the tongue ‘is a tree of life.‘” Notice again the close connection between life and the correct use of the tongue. The alternative is, “Perverseness therein is a breach in the spirit.” Perverseness means “the wrong use.” The misuse of the tongue is a breach, or a leak, in the spirit. Many get filled and blessed, but it runs out through their tongues. You must keep a tight rein on your tongue if you are going to contain the blessing of the Lord. It is one thing to be blessed; it is another thing to contain the blessing. The healing of the tongue is a tree of life that brings life to us and to others. It works inwardly and outwardly. is bitter, we will feed on bitter fruit. God has ordained it that way. The tongue is the decisive member. Death and life are in the power of the tongue. Choose life. This is what choosing life looks like – “only what is helpful,” and only what builds and benefits. Some things are difficult to express. I was reading about clumsy archaeologists handling ancient documents and watching them turn to powder as they were exposed to the light. It made me think of feelings long hidden of which we can’t talk because they’re just too delicate to handle. This is why the book of Psalms is so precious. It speaks those thoughts out, reminding us that the human heart of is the same in all ages. Psalm 42 speaks of a serious grief which the Puritan writers used to call “spiritual desertion.” What do you do when you lose the sense of God? It’s poignant to think that Jesus prayed this Psalm when in a more terrible agony he prayed, “My God. my God, why hast thou forsaken me?” So what caused this depression? How did the writer cope? He had an ache in his heart, which he expressed as a thirst. “My soul thirsts for God, for the living God: when shall I come and appear before God?” It’s a yearning for more. We are so made that nothing which has limits satisfies and we can never quite be satisfied with the world as it is. Even the drive towards “more” in terms of money, or beauty or fast cars or bigger yachts… all these things can be understood as that same thirst, expressed in its lowest forms. And what happens next? God is personal and when you reach for the more of eternity, you find a Person. It’s not a concept but one who is love itself. All the pipes and tubes of the human body, all the intricacy of every world system, micro and macro -all that is the expression of that love that created the softness of clouds and the purity of snow. According to the Hebrew Bible, the centre point of the revelation of God was “ I am who I am.” In that word “I am” is a declared personality; and it contains the voluntary approach of the Creator to the creature. And that’s why the Psalms explode with those outbursts of passionate individual attachment which are on every page. A person, asking and giving love, and feeling it-that was the Israelite’s Yahweh. How radical it is to believe in a personal God! But this is how the Bible speaks: It’s not a law, but the life of all that is-the Being who feels, and is felt-is loved, and loves again-feels my heart beat into His-counts the hairs of my head: feeds the ravens and clothes the lilies: hears my prayers, and interprets them through a Spirit which blends with my spirit. And –this is the point of the Psalm- what happens when that is lost? He’s not thinking about concepts or principles: It’s like a love-affair that has been abruptly stopped. He is heart-broken for the loss of God. The world can be pretty unsympathetic and misunderstanding. We misunderstand or over-simplify the things other people go through. And when Jesus called for God in that terrible hour, “Eloi, Eloi,” they said, “Let be: let us see whether Elias will come to save Him.” John Lennon said: Life can be tough. Sometimes you feel you’ve had enough”. It’s easy to say: Be strong! But the truth is that at the very moment when your spirit is reaching for God, very often those around most misunderstand:“As a sword in my bones, my enemies reproach me: while they say daily to me, Where is your God?” (v10). There’s an important thing to say here: this feeling of forsakenness is no proof of being forsaken. If God seems far from you..well, it’s only a “seem”. And yearning after an absent God is an evidence of love as strong as rejoicing in a present one. Even when you’re doubting his existence –passionately crying for light in the darkness-you may be closer to him than some cold Pharisee diligently serving him. For what did Jesus mean when he cried out,“My God, my God, why have you forsaken me?” ? This hope was in God. Isn’t that the whole point? The mistake we make is to look for a source of comfort in ourselves: instead of looking to God. In other words, we look for comfort precisely where comfort never can be. How can you draw help from your own feelings? It’s like pulling yourself out of a deep well by tugging at your own shirt collar. And there’s nothing you can do. Nothing.